Snow globes are kitschy and cute but I wouldn't want one in my house. Because they're kitschy... and cute... Which sort of goes against everything I stand for. But a GEEKY snow globe, now you're talking! 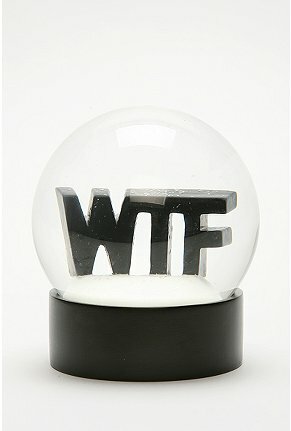 Straight from Urban Outfitters, I present the WTF snow globe. A wonderful Xmas decoration that any geek would be proud to display.